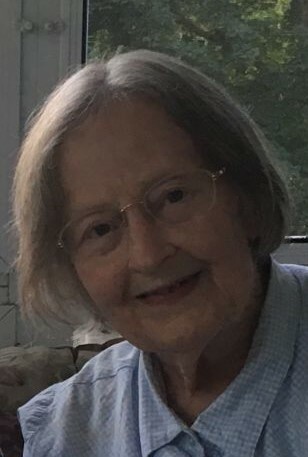 Carolyn Copley Camfield, age 86, of Paw Paw, Michigan returned to her Heavenly Home on Tuesday evening, December 4,, 2018 Carolyn was born October 5, 1932 in Kalamazoo, Michigan to Wallace and Esther (Copley) Davis. For many years her firm belief in Jesus Christ, her Lord and Savior, sustained her and gave her peace. She was preceded in death by her husband Orson Camfield on April 17, 2017, and daughter Mary Murch on November 25, 1984. Surviving are her 3 children; Andrew (Lana) Murch, John (Lela) Murch, and Julie Pullen; eight grandchildren, seventeen great-grandchildren; sister Elizabeth (Davis) Bolton and sister Julie (Davis) Wood. Family and friends will be received Friday, December 7, beginning at 12:00 p.m. at the Adams Funeral Home, 502 West Michigan Ave, Paw Paw. Services will begin at 12:30 p.m. at the funeral home with interment to follow at Maple Grove Cemetery, Mattawan. Following the graveside service, guests are invited to meet at 120 Taphouse & Bistro, 120 E. Michigan Ave, Paw Paw, MI. The family requests contributions, in Memory of Carolyn C. Camfield, be sent to Bethany Christian Services Paw Paw Program, 6687 Seeco Drive, Kalamazoo, MI 49009 or Hospice Care of Southwest Michigan, 801 Hazen Street #A, Paw Paw, MI 49079.